Type 2 Diabetes Symptoms: Do You Have These Symptoms? You are here: Home / Health Issues / Type 2 Diabetes Symptoms: Do You Have These Symptoms? Diabetes can creep up on us as we get older so it is important to know about the type 2 diabetes symptoms, especially if you are in one of the risk groups for developing this disease. Weight – type 2 diabetes is closely related to being overweight, especially where there is obesity. 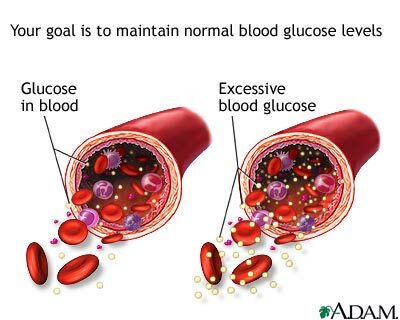 However, type 1 diabetics tend to be of normal or even under , and type 2 can develop in normal people too. Age – type 2 diabetes is much more likely in middle aged or elderly people. Until recently there were virtually no children or adolescents with type 2, which is why type 1 is often called childhood diabetes. But these days it is possible for people of any age to develop type 2, even children, especially if they are very over. Hypertension – having high blood pressure or hypertension increases the risk of developing diabetes. It also increases the danger of suffering serious complications, so you should keep a check on your blood glucose if you have high blood pressure. Sedentary lifestyle – lack of exercise can make people more likely to develop diabetes. Often this goes along with being very over. Certain endocrinological diseases – if you suffer from certain other conditions including metabolic syndrome or Cushing’s disease, there is an increased risk of developing diabetes. Medical professionals will be aware of this and you are almost certainly being tested regularly if you have one of these conditions. The earliest type 2 diabetes symptoms usually include feeling tired, weak, lacking in energy and perhaps generally unwell. This is likely to worsen over a period of several weeks. Of course, many of these are symptoms that you might feel in relation to other diseases or even if you are not sick at all. They do not always mean that you have diabetes. However, diabetes could be indicated, especially if you are in one or more of the risk groups listed above. Anyway, it is easy to test blood glucose levels either with a home testing kit or at the doctor’s office, so if you think that you have type 2 diabetes symptoms go ahead and have yourself tested.